Photo of the Week. 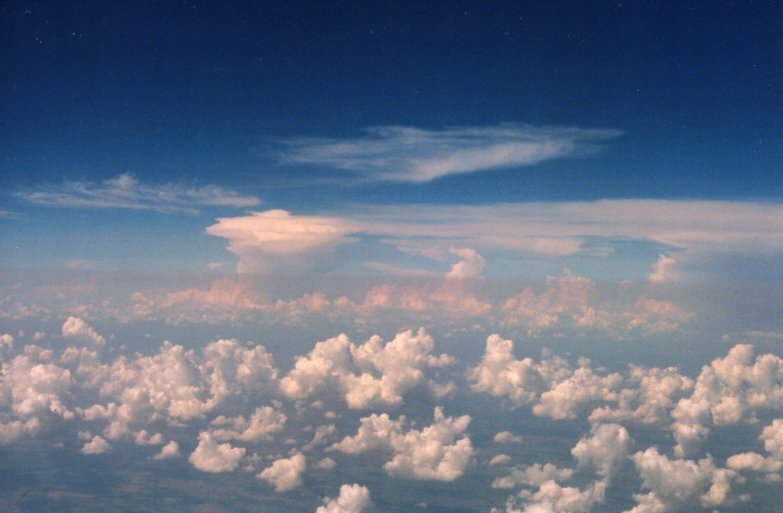 Convective clouds seen from on high. Astronomy news for the two weeks starting Friday, November 6, 2015. The next skylights will appear November 20, 2015. 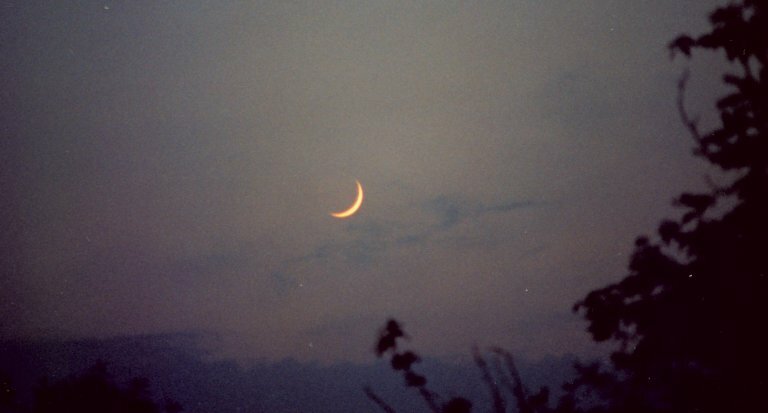 The Moon begins our fortnight in its waning crescent phase. Having passed just south of Jupiter the morning of Friday, November 6, it then makes a marvelous triangle with Venus and much fainter Mars the morning of Saturday the 7th, the crescent just a degree south of the brilliant planet and below the red one. 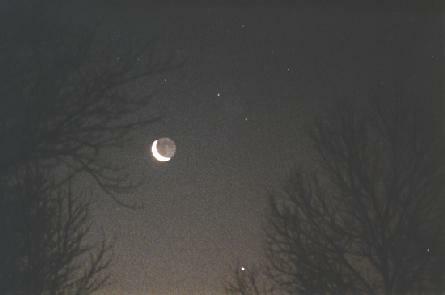 The morning of Sunday the 8th, you might spot the Moon up and to the left of the star Spica. Thinning completely out, the Moon passes new around noon on Wednesday the 11th, so your last glimpse of it will be the morning of Tuesday the 10th in growing eastern dawn. We get to see the Moon again as a waxing crescent in fading western twilight the evening of Thursday the 12th when it invisibly passes a few degrees north of Saturn. 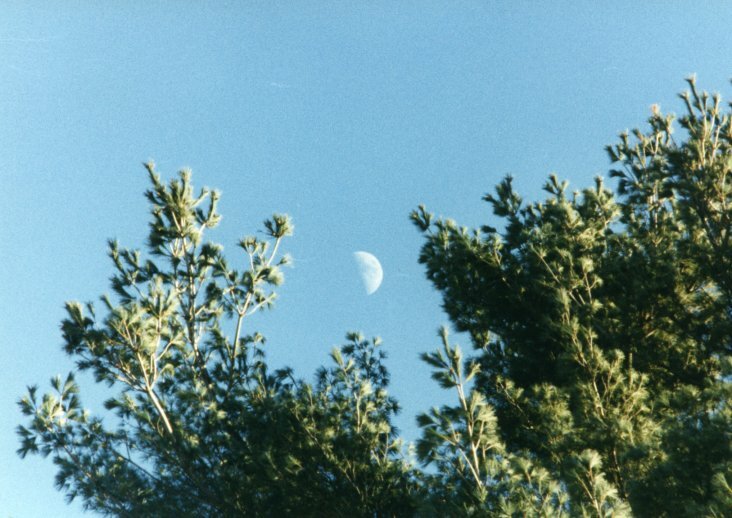 The crescent then fattens until first quarter is reached the night of Thursday the 18th, after which the Moon enters the waxing gibbous phase. 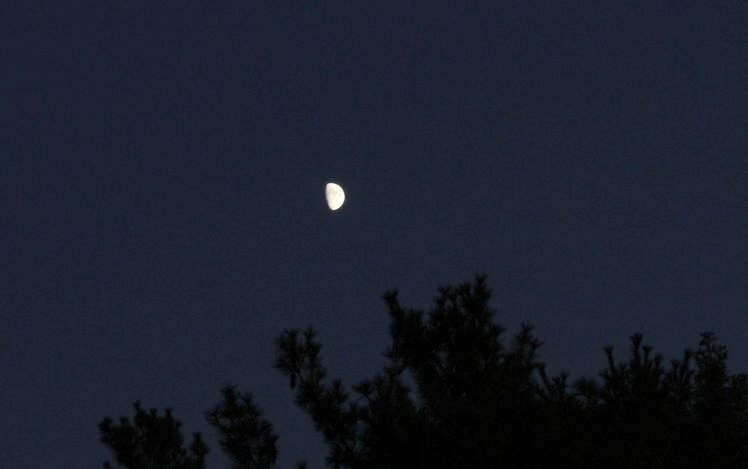 The Moon passes its apogee (when it is farthest from Earth and angularly smallest, though you can't really tell the difference) on Saturday the 7th. The two bright planets, Venus and Jupiter, continue to grace the morning sky. In the middle of our term, Jupiter (now in southern Leo well to the southeast of Regulus and south-southwest of Denebola) rises around 1:30 AM as it heads toward the evening sky in mid-December. Venus follows, up by about 3 AM. While brighter Venus rises ever-earlier in the morning sky, Jupiter rises ever later, and thus the two are slowly separating. In between is Mars, which, while bright (just shy of first magnitude), is outmatched by the other two. Saturn is effectively gone, lost to evening twilight. Mercury is in superior conjunction with the Sun (on the other side of it) on Tuesday the 17th, while Neptune, in Aquarius, ceases retrograde motion as our period ends. The famed Leonid meteor shower peaks the night of Tuesday the 17th (really the following morning), but don't expect much this year, as the dense cloud of debris from Comet Tempel- Tuttle is long gone. In a dark sky one might make out 15 or so meteors per hour radiating from the constellation Leo. Eyes are now on the elegant Great Square of Pegasus, the Flying Horse, as it soars high to the south in mid-evening. Lesser known is Equuleus, the Little Horse, that gallops faintly to the southwest of its much larger mate. Directly east of the Square find the flat triangle that makes most of Aries, the Ram, which in ancient times held the Vernal Equinox, that point now in Pisces as a result of the 26,000-year wobble of the Earth's axis. From off the northeast corner of the Square comes the string of stars that best identifies Andromeda. Then later in the evening look to the east to see the stars of winter, from Auriga to Orion, begin to replace those of autumn.